These products have been scientifically tested by a trusted consumer product testing lab and proven effective and safe on pets. We are always researching and developing new products to add to our current line. Thank you for your consideration and we appreciate your business and your support of our products. Nano-enhanced minerals break through bonds of odor molecules and dissolve them on contact. Each bottle is packed with nutrients including Vitamin E and Pro-vitamin B5 along with Olive oil PEG-7 for superb conditioning. Hydrates skin and coat with no oil residue. Leaves your dog looking, feeling, and smelling clean. Soothing and relaxing. The easy rinse formula washes away effortlessly. Reduces bath time and conserves water. Purified water, Coconut-based natural surfactant, Cocamidopropyl betaine, Sodium coco-glucoside tartrate, Volcanic minerals, Vitamin E, Panthenol (Vitamin B5), Olive oil PEG 7 emollient, Natural soy extract deodorant, Calendula officinalis flower extract, Horehound extract, Scutellaria extract, Citric acid. Purified water, Coconut-based natural surfactant, Cocamidopropyl betaine, Sodium coco-glucoside tartrate, Volcanic minerals, Vitamin E, Panthenol (Vitamin B5), Olive oil PEG 7 emollient, Natural soy extract deodorant, Lavender oil, Tea tree leaf oil, Eucalyptus oil, Calendula officinalis flower extract, Citric acid. Purified water, Coconut-based natural surfactant, Cocamidopropyl betaine, Sodium coco-glucoside tartrate, Volcanic minerals, Vitamin E, Panthenol (Vitamin B5), Olive oil PEG 7 emollient, Natural soy extract deodorant, Pomegranate extract, Calendula officinalis flower extract, Horehound extract, Scutellaria extract, Citric acid. Purified water, Coconut-based natural surfacant, Sodium cocoglucoside tartrate, Volcanic minerals, Vitamin E, Panthenol (Vitamin B5), Olive oil PEG 7 emollient, Natural soy extract deodorant, Rosemary leaf oil, Bergamot oil, Calendula officinalis flower extract, Horehound extract, Scutellaria extract, Citric acid. Purified water, Coconut-based natural surfactant, Cocamidopropyl betaine, Volcanic minerals, Vitamin E, Panthenol (Vitamin B5), Olive oil PEG 7 emollient, Natural soy extract deodorant, Green tea essential oil, Bergamot oil, White tea leaf extract, Calendula officinalis flower extract, Horehound extract, Scutellaria extract, Citric acid. Nano-enhanced minerals break through the bonds of odor molecules and dissolves them on contact. Spray on dog’s coats or paws as they enter or exit the house, car or kennel. After bathing, apply to damp coat before drying, or apply anytime between bathing for a clean and fresh scent! Also safe for use on upholstery bedding or any surfaces. No harsh residual and lick safe, our natural pH7 deodorant is uniquely balanced for dogs. FDA safe ingredients for humans and pets. Independent lab-tested to ensure the highest quality and effectiveness. Purified water, Titanium dioxide, Sodium tripolyphosphate, Citric acid, Mint oils. Purified water, Titanium dioxide, Sodium tripolyphosphate, Citric acid, Lavender oils. A dog’s ears can get funky, leading to painful infections if not cared for. 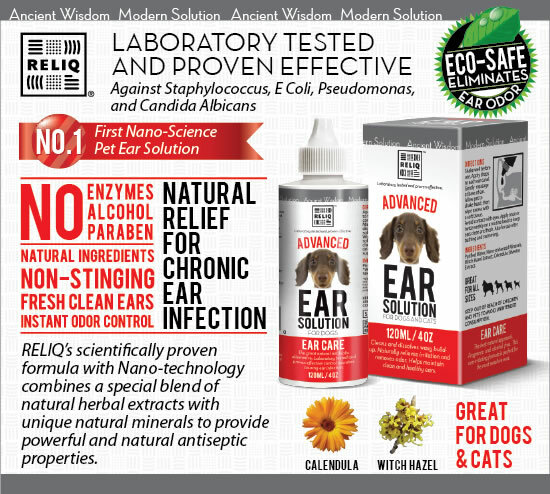 Our special blend of natural herbal extracts and unique nano-enhanced minerals gently loosen and remove dirt, debris and ear wax, naturally restoring and maintaining healthy ears for dogs and cats. Reliq advanced ear solution cleans and dissolves waxy build-up. Naturally relieves irritation and removes odor. Helps maintain clean and healthy ears. Shake well before use. Apply drops to each ear canal. Gently massage at base of ear. Allow pet to shake head, then wipe excess with a soft tissue. PAW CARE Enriched with natural herbal oils, this ultra-rich formula penetrates quickly to protect, nourish and moisturize paws. Honey and essential herbal seed oils are combined with volcanic minerals to create a naturally moisturizing blend, leaving paws soft and smooth without an oily trace. DIRECTIONS Apply generously on dog and cat paws. Massage evenly into foot including paw pads and between toes. Allow cream to dry, forming a light protective coat. Can be applied as often as needed. Purified Water, Volcanic Minerals, Camellia Seed oil, Jojoba seed oil, Honey extract, Meadowfoam seed oil. Some of you have been asking some really great questions about Reliq and we thought we would share these questions and answers with the rest of the community. Hopefully you will learn something new! 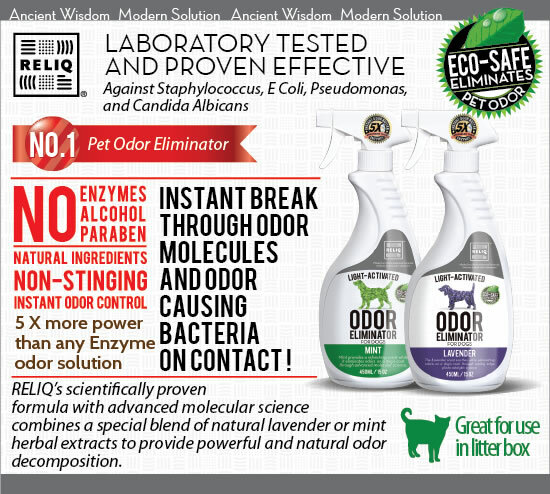 Q: You shampoo works so well in eliminating pet odor, what is the biggest difference between your product and others? A: We have a key ingredient that is developed by a cutting edge nanotechonology and it eliminates the root of the odor, and not just mask it. Your pet will still smell good in 7-14 days, or maybe longer depending on the breed. No other oatmeal or baking soda products can achieve this same result. Other products try to bond the scent into coat and to mask the odors. This is not healthy to the pet and the decomposed secreted oils still generate the unpleasant odor. Q: Reliq shampoo does not have a lot of lather compared to other products. Does that affect cleansing or do I need to use more quantity in each bath? A: Reliq shampoo has a special ingredient that will not generate the lather that other products do. Our low lather formula can be easily rinsed off to save on time and water. The special minerals in the shampoo act as an effective cleansing agent so that your pet can be clean and fresh without a lot of lather. The natural ingredients and nutrients also help the professional groomers, their hands no longer suffer dryness after bathing a few dogs without wearing glove. Q: What was the inspiration behind Reliq pet products? A: All of the current Pet shampoo on the market are simply a mixture of cleaner and exotic herbal extracts. The fundamental cleaning ingredients remain the same. That is where the problem at. In the past 10 years, there are better science and material developed to improve human life in all aspects. However, we don't see them on the grooming products. Therefore, we want to create the FIRSt "SMART" product for the pet grooming industry. 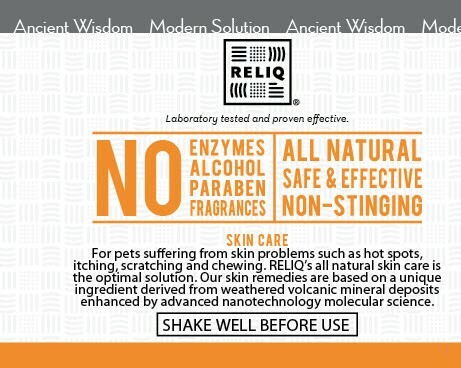 RELIQ is the first grooming line integrated natural minerals with Nanotechnology – the science of the 21st century. By doing this, molecules are broken down and cleaning agents are able to work past even the toughest coat all the way down to the dog’s skin. As a result, cleaning is more effective and nutrients better absorbed. 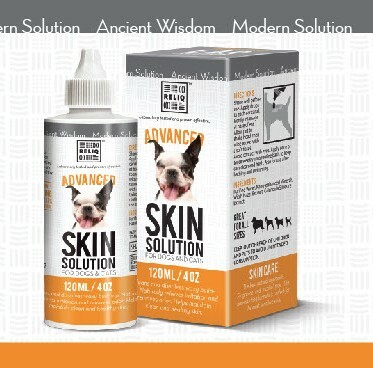 Combining the unique volcanic minerals with cutting edge science enables the RELIQ product to be extremely effective in cleaning the pet’s skin and coat as well as follicle maintenance. It fundamentally resolved the odor issue and relieved most of the skin irritations. Way beyond what the oatmeal and enzyme products can do. Q: Where can I buy Reliq pet products? A: We are currently presenting our products in the nationwide pet shows to build up the distribution channel for our customers. At the mean time, the easiest way is to order from our online store and we will ship within 2 days after order received. If you are retailer and want to carry our products in your store, please contact us at Tybrushe as we are a Distributor of this product as well. Q: What is Eucalyptus oil for? A: Eucalyptus oil comes from the eucalyptus tree. The oil helps to balance emotions and reduce tension. It also makes for a great air freshener and helps eliminate toxins in the air. Q: What is Tea tree oil for? A: Tea tree oil comes from the tea tree. The oil is best known for being a powerful immune stimulant with anti bacterial, anti fungal, and anti viral properties.